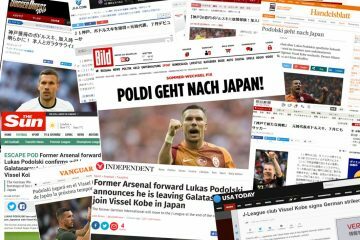 July 29, 2017 is a date Vissel Kobe’s new striker Lukas Podolski will remember for many reasons. 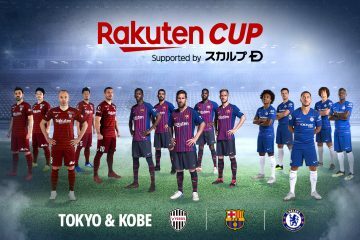 In his very first match in Japan’s topflight J1 league, in his very first home-game for his new team Vissel Kobe, the German No. 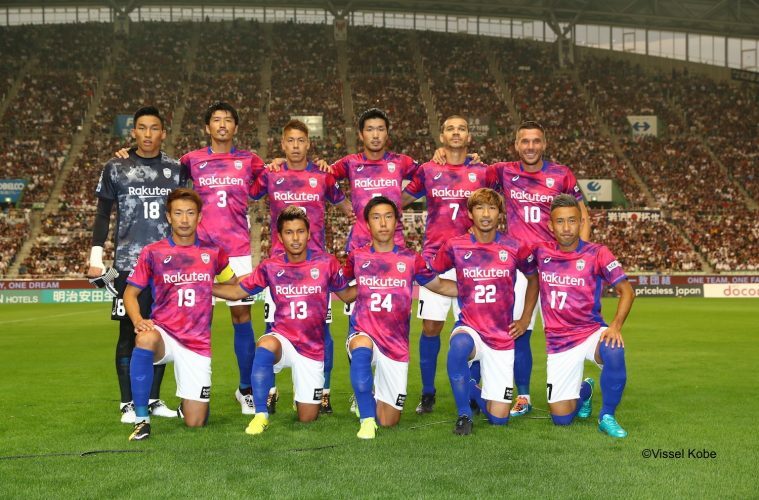 10 scored two goals in a 3-1 victory over Omiya Ardija of Saitama. 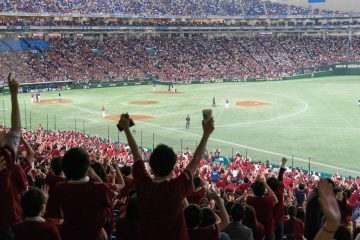 It was a full house at Noevir Stadium Kobe, as 20,000 expectant Vissel Kobe fans flocked to support their team’s latest signing. The 32-year-old World Cup winner, who goes by the name Poldi, didn’t disappoint. Just four minutes into the second half he picked up a loose ball on the edge of the semicircle and thundered home a low shot with his prolific left boot past Omiya keeper Nobuhiro Kato. 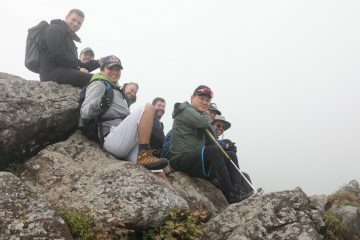 Cue thunderous chants of “Lu-kas Po-dol-ski” from the stands. The goal fired up the home side, who had struggled to find their rhythm in the first half. 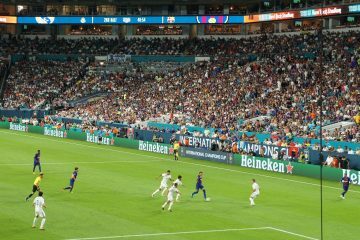 However, with the start of the second half, Poldi and teammates were eager to make amends and it was the German superstar who opened the scoring with that glorious long-range effort. But, Omiya didn’t take it sitting down, with Marcelo Toscano scoring a well-worked equalizer just minutes later. Still, Vissel Kobe were determined to make it their night and, encouraged by the boisterous crowd, fought back. 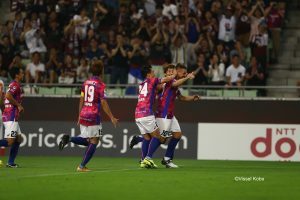 In the 62nd minute substitute Kotaro Omori delivered a perfect cross into the box, connecting with none other than man-of-the-moment Poldi, who skilfully headed it home past Kato. Kobe were back in front and would stay there – with Hideo Tanaka putting the result beyond doubt with a long-range goal 12 minutes from time. The match finished 3-1 to Kobe, with Poldi scoring two on his debut: one from his boot and the other from his head. 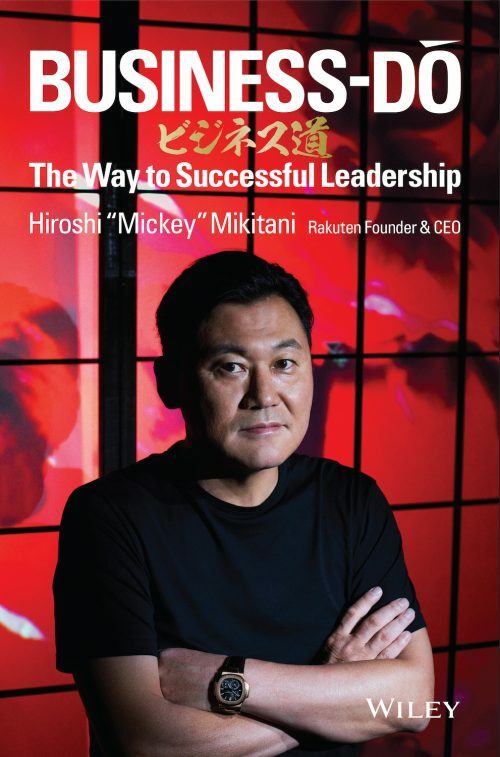 One of the first to congratulate the Vissel players was Rakuten Chairman and CEO Hiroshi “Mickey” Mikitani, who waited for them on sidelines at the end of the match, embracing the German star whose move to the club on July 1 he helped secure. “Lukas Podolski. Two goals! 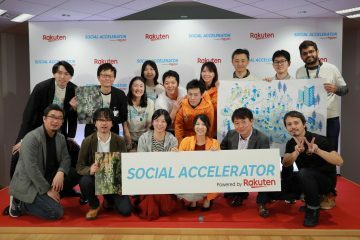 Wow!” he commented minutes later. 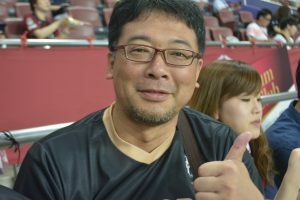 Toshiaki Ideguchi, who traveled to Kobe from Fukuoka Prefecture, predicted Podolski would score two goals. The fans were just as impressed. 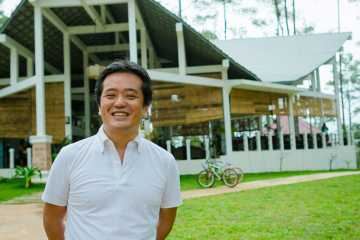 Toshiaki Ideguchi, who had traveled up from Fukuoka Prefecture, had even predicted the result. Asked during the interval for his prediction, Ideguchi was unequivocal. Kobe would win. His hero didn’t let him down. Kohei Nakamitsu, another Podolski fan, from Gifu Prefecture, traveled to Kobe with his pals Yukimune Ishihara and Yasuhito Miyake. Nakamitsu said it was a tough first half for Kobe as they found it hard to gel, especially in the humid conditions. 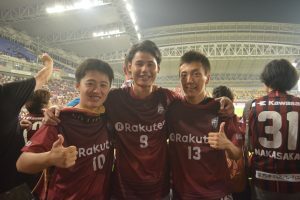 (L to R) Yukimune Ishihara, Yasuhito Miyake and Kohei Nakamitsu came from Gifu Prefecture to cheer on the world class striker. 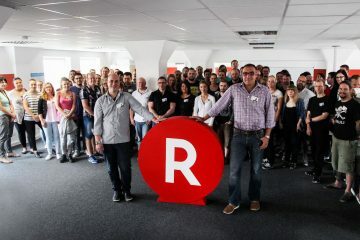 “But with Podolski’s height and world class striking ability, hopefully we have a remedy to our goal drought,” said a delighted Ishihara, to raucous agreement from her friends. 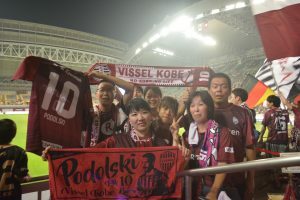 Vissel Kobe super fan Ayumi Ishihara (center) hopes that Podolski will be able to remedy Vissel Kobe’s goal drought. Vissel Kobe manager Nelsinho was also pleased with Podolski’s performance, commenting in a post-match press conference about his high hopes for the German star in the future. “Everyone is aware of his technical abilities, and he’s shown today that he can score. I think with each match, he is going to become an even more productive player,” he said. The win puts Kobe in ninth place, level on points with Urawa Reds. Next match is against second-placed Kashiwa Reysol – and Kobe are fired up.